Guangzhou: Not Just Skyscrapers | Kid Reporters' Notebook | Scholastic Inc.
Guangzhou, which is also known as Canton, is a port city in southern China. Located about 75 miles from Hong Kong, Guangzhou is the third most populous city in China, with nearly 14 million residents. Centuries ago, it was a stop on the Silk Road. Today, Guangzhou is famous for its spectacular skyline and such sleek buildings as the Canton Tower, “Lucky Coin,” and Guangdong Museum, which is shaped like a carved, rectangular box. If you drive about 40 minutes from the center of the city, however, you will find ancient villages that are also part of Guangzhou. “My village is about 700 years old,” said a 29-year-old Finnish woman named Sara. “It’s called Sheng Jing, which means Ancient Well.” Sheng Jing is a small village on Changzhou Island, now known as University Island. 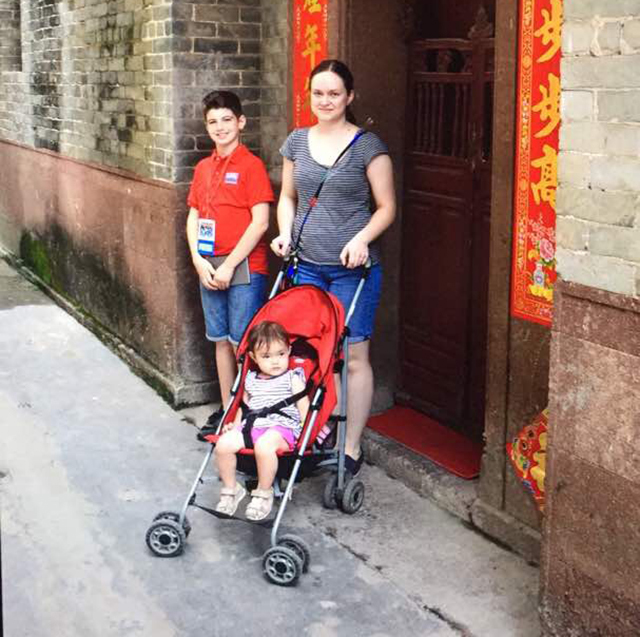 Walking through the village’s narrow streets, a visitor can see traditional houses, historic buildings, and some ancient Chinese temples. Sara has been living here for four years. She is married to a local man, and they have a very cute 1 1/2-year-old daughter. In China, grandparents usually take care of their grandchildren during the day while parents work. Older kids go to the local school. In the afternoon, they play outside and hang out with their friends. Mountains dwarf rice fields in the countryside. Rice and vegetables are staples of the local diet. If you drive about two hours from the center of the city, you reach the countryside. “In my hometown, almost every household has its own vegetable garden so we don’t need to buy veggies at the market,” said Mark Liang, 21, who moved from the country to the city to study. Rice, which is grown in the countryside, is common at most meals. In Mark’s village, most of the women work in agriculture. They plant corn in March and harvest it in July. Many of the young people leave the countryside to study and earn money in the big city. Labor-intensive jobs, fewer modern facilities, and fewer services make life in the village difficult. But it has its advantages, including a more relaxed environment and less polluted air. Children play in the countryside, near where Mark grew up.